Sunder appeared in 1983, back when the X-Men discovered the existence of the mutant Morlocks. I’m not sure why we have these notes, or how reliable they are. Heh, we have been around for 20+ years, a *few* things are bound to get lost in the shuffle. Base Of Operations: The Alley (below New York). Sunder is a brick with about “Class 60” superhuman strength. Sunder was a member of the Morlocks. This is a tribe of mutants which used to live in the sewers below Manhattan. In 1986, these were nearly exterminated by the Marauders. Sunder seems to always have been the henchman of the Morlocks’ leader, Callisto. He was extremely loyal to her. She often gave him missions involving levelling obstacles, fighting superhumanly strong opponents and other odd errands. He survived the Marauders’ massacre along with Callisto, and found a refuge on Muir Island. However, in 1989, another band of gun-toting psychos called the Reavers attacked Muir Island. An impromptu band of “X-Men” was organised to fight them off, with Sunder a member. He was shot in the back during the battle and died within minutes. Sunder was a bald, gigantic homeless feller with an obvious hunchback. Sunder was a simple man with simple tastes. He could be used as a template for a second-string brick, but could also be developed into an interesting NPC. For instance, in one of my DC Heroes RPG campaign, it was revealed that he was a fallen crooked lawyer. There seems to be far fewer pure bricks in the DCU than in the MU, so he could be a welcome addition. A band of superhuman homeless folks is an interesting concept, and could be used almost anywhere. 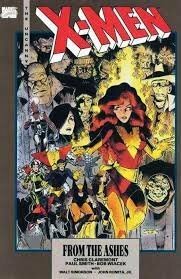 Source of Character: X-Men comics (Marvel Universe).